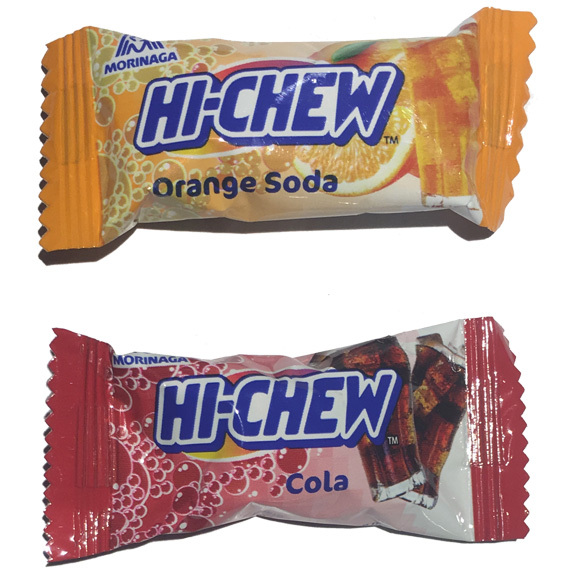 Home » 5 Freshest » Hi-Chew Fizzies: Will They Finish Strong? Man oh man did Hi-Chews come out of the gate strong. I still remember my first review of them back in 2012 – they soared to the top of the chewy candy list. Ostensibly better than Starbursts and Mamba, these Japanese fruity, hard chews took it right to the competition. Since then, I have to be honest, I haven’t been as smitten with the other Hi-Chew varieties. Yet. 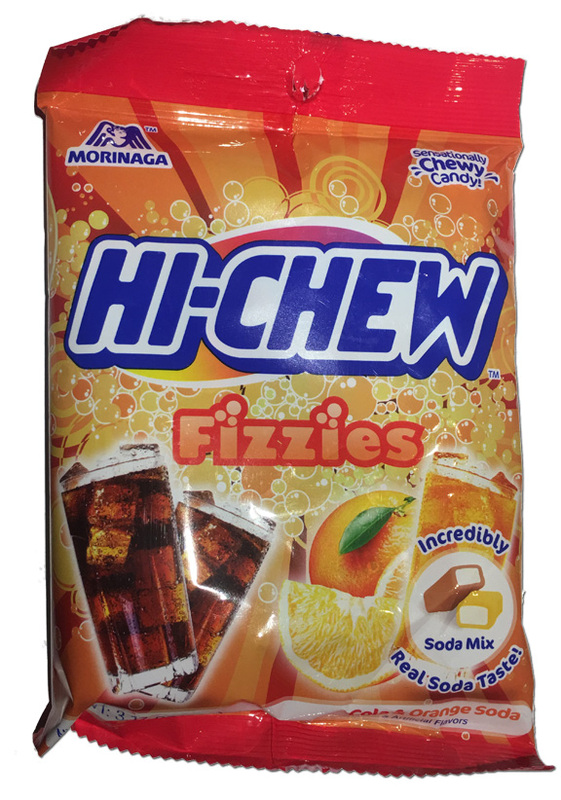 here we are again with the new, super promising sounding “Hi-Chew Fizzies“. “Hells yes,” I tell myself when I buy them from the airport in Utah. I didn’t even eat these for 2 weeks because I was SAVING them for when I could give them my complete attention. When I opened up the package, and then opened up the 2nd package (BECAUSE WHO NEEDS THE ENVIRONMENT) I was very excited – way too pathetically fu*&ing excited for a grown man eating candy, let’s be honest. The aroma had that Hi-Chew goodness. The colors were… a little muted… but hey, I’m eating, not painting landscapes. Cola. God I love cola candy. How could these not be good? And orange soda? These were getting 3 stars and I hadn’t put them in my mouth yet. This is one of those times where I wished I had low expectations and could have been pleasantly surprised. The cola doesn’t really taste like cola. It starts with bubblegum overtones. The cola takes over but it sure isn’t fizzy, nor tangy, nor refreshing. What I’ve loved about Hi-Chews is the hard chewiness and great flavor. The slick taffiness that lasts. These have pedestrian flavors, slightly soda-esque but not so much that the candy EMBODIES it. It’s just disappointing. My dear friends at Hi-Chews: Let’s get back to the basics. Focus on the flavors, stick to the chew. I’m here for you. I will continue to support you. But I’ll leave you with this one question: will you continue to support me? I was rather impressed by the criminally smoothe aftertaste it left in her mouth… very nutritious as it is very organic! I love chewwwyzzz even in public restaurants… under the table of coarse as some elders taste buds have been dulled by the hi-chewyzzz over time! Rather unfortunate cirCumstances I may add. ! You Are Loved Muchassdx!! !